Jonathan and Bill rode from Victoria to Tofino, BC along part of the Vancouver Island Bikepacking Route and then hopping on a ferry to complete the journey to Tofino. The only water crossing from Cape Scott to Victoria is near Leech Town and it’s optional. 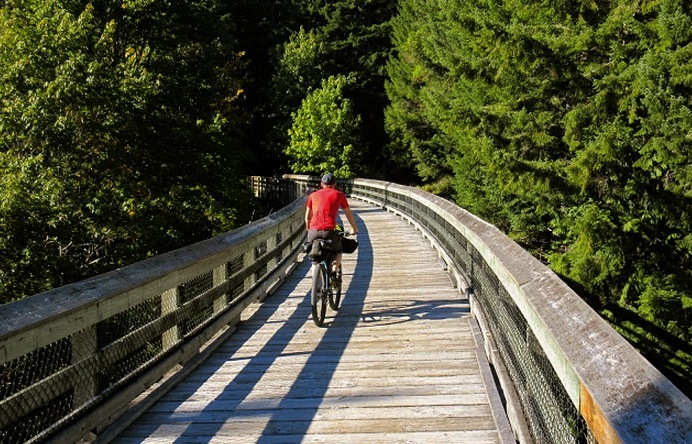 You can skip it and ride down to Sooke around it. Could be high, but it’s a pretty small creek/stream so I don’t think it would be insurmountable. Thanks!! A merry Xmas to you from snowy Banff!